Organized by the Victoria African & Caribbean Cultural Society (VACCS), Africa Fest is an annual outdoor festival featuring lots of food, music, fashion, entertainment and kids activities. 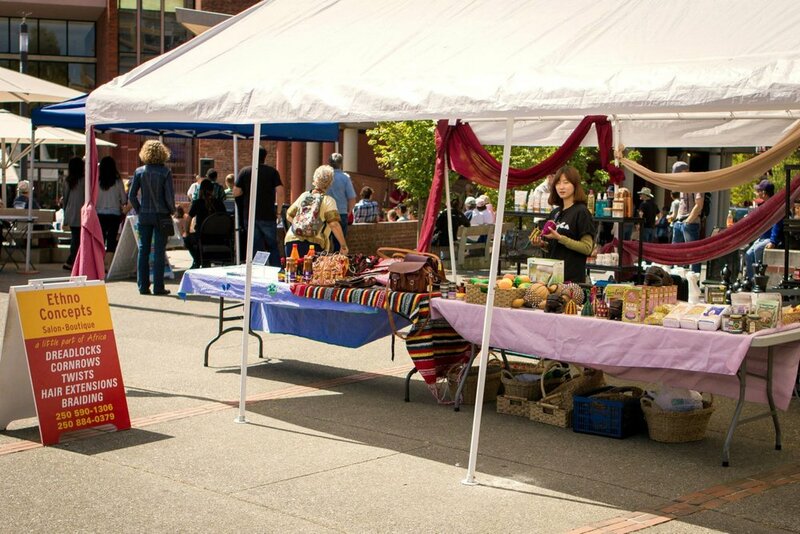 This year, it takes place on Saturday, May 26 from 11am - 6pm the Greater Victoria Public Library Courtyard on Broughton St (downtown Victoria). exhibitors/Vendors are an integral part of Africa Fest, and greatly enhance the festive atmosphere. We only have 10 vendor spots available. Priority will be given to community based organizations, and businesses with a focus on Africa and the Caribbean. Will you be needing any specific equipment? How can we make the vendor process more accessible/comfortable for you?